In 1999 when the Robert Mueller municipal airport was relocated, the remaining 700 acre brownfield redevelopment was repurposed as a sustainable community. Designed and developed by Catellus a national visionary brownfield redeveloper, the sustainable redevelopment of Mueller was commenced. strategically located just three miles from the downtown state capitol of Austin, Texas, two miles from Texas A&M university. The Mueller community combines: transit orientated development (TOD), green infrastructure, sustainability, new urbanism principals, smart growth and Leed certified construction designations, thus reducing automobile dependency, this pedestrian friendly eco neighborhood has became home to over 13,000 residents. With 20% of Mueller’s 700 acres preserved for open green space, 140 acres of parks, including maintaining native plants and eco landscaping, utilizing reclaimed grey water for irrigation. Developers committing to planting an additional 15,000 trees this infill sustainable eco neighborhood is a connected community with the transportation emphasis shifted to pedestrians and bicycle networks. In turn reducing automobile dependency, thereby reducing the reliance of imported oil into the United States, and limiting rising greenhouse gases into the atmosphere. Which in turn contributes to rising temperatures and global warming. 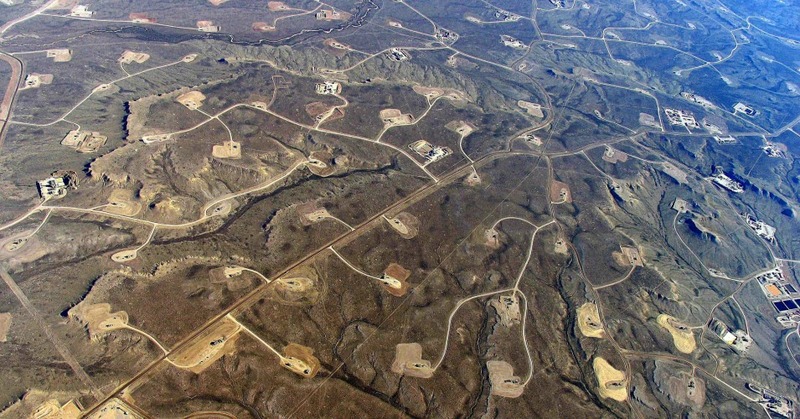 This is a visionary sustainable development especially for the oil producing state of Texas! A recent 2016 poll from Texas A&M University of Mueller’s residents yielded surprising results. Mueller’s residents spend 90 minutes a week less driving a vehicle. This has resulted in more physical activity and a more healthy active walkable lifestyle! Mueller, Texas is one of the nations first certified LEED green neighborhoods, and is being built by six hand selected green home builders which cater to the active sustainable lifestyle building green: yard homes, traditional detached single family green homes with garages in the rear, rear carriage homes available above the rear garages, row homes, attached green townhomes with front porches, court yard homes surrounded with an open green space. Live work residences with 600 sq. ft. of retail space adjacent to a residential home. And the unique Mueller house which appears to be one big home, but in actuality is any where from 4 through 6 green condos wholly contained within one single structure. Prices range from the 100’s to over one million dollars for custom estates. Due to its TOD infill location green real estate structures in the Mueller community have appreciated as much as 75% in the last two years! The local Texas greenbrokers with their specialized green knowledge have been in market demand! When the Mueller community is completed in 2020 there will be 4.3 million sq. ft. commercial space with well known national retail shops, dining and entertainment options for residents to visit and enjoy. Currently speciality shopping, retail, market district, and a local farmers market is available. Three open parks, a pool house with a xeriscaping greenroof designed by Lady Bird Johnson wildflower center collaborating with the Stanley studio and all types of specialized medical facilities. There will be 5,900 housing units and 140 acres of planned open green space. This sustainable community is constructed to the progressive Austin green building standards which incorporates national LEED green principals/standards. The local Austin energy program is the nations 8th largest community owned electric utility which serves over 420,000 customers. Austin energy is home to the nations first state green building program which started in 1990! Specializing in emerging technologies, Austin energy owns and operates wind farms, a biomass facility, and has a long term goal of supplying up to 35% of its energy from renewable resources In addition this innovative community owned utility operates 113 publicly accessible plug in electric vehicle charging sites through out their designated service area. In the initial stages of construction of the Mueller community, over 250 residents had solar panels installed on their green certified homes which was included in their greenappraisal and facilitated greenmortgage financing. The is the highest concentration of solar roofs in the country! The Mueller community Energy consumption is monitored by Pecan street the most extension energy monitoring in the US. Community database monitoring has shown 69% of Mueller’s homes electricity for the entire year have been produced by the solar panels! Bosch a leader in geothermal technology has partnered with Taurus a Boston real estate development company to build a net zero community called Whisper Valley. Whisper Valley will be located just 20 minutes east of Austin, Texas located in the preferred development zone, a master planned 2,000 acre green community of 7,500 homes, multi family homes, apartments, and 2 million square feet of commercial development, all using geothermal technology and air wind and solar technology to obtain net zero real estate certification. Bosch, along with other manufacturing partners BASF, Rehau, Lighting Science Group Corp. Google fiber, and Aten Solar, are part of Taurus’ Eco Smart Solution (ESS), which develops and implements alternative energy structure programs in large-scale real estate projects. The ESS network includes: construction, finance, technology and communications. The ESS system is designed to deliver value to the homeowner without the initial up front cost, acting as an insurance policy to provide consist annual energy savings to each homeowner. Rehau will preinstall the geothermal heat loop infrastructure throughout the Whisper Valley community. Due to high air conditioning demand two 250 ton cooling towers will be installed to augment the ground loop rejection. Each home will be connected to the geothermal ground loop with a Bosch heat pump using geothermal bore holes to deliver constant year round water temperature to provide heating and cooling for each sustainable residence. The geothermal loop will use Bosch water heaters to deliver whole house hot water solution to each net zero home further leveraging the infrastructure. Homeowners individual energy costs will be capped at $175.00 a month for the first three years to cover the initial cost of the geothermal instillation, LED lighting, solar PV systems, appliances, and maintenance. Each individual home owner will return all excess energy to the electrical grid. The energy costs saved, will be equal to or greater than the ESS monthly fee. Every Whisper Valley home is Ecosmart certified, which includes a HERS rating and is compliance with Austin energy green build 2 star requirements.This allows homeowners to finance these sustainable improvements by selecting a green appraiser and green mortgage. A Google Nest learning thermostat will monitor all homes with smart thermostat technology providing remote camera surveillance, smoke and Co2 detection. Google fiber featuring 1GB upload and download speeds,will be preinstalled throughout the community prior to construction. Google fiber is 100 times faster than current internet speeds. Premium Energy star refrigerators, washers, and dishwashers. Energy Star HVAC ventilation package. The Whisper Valley green community is the largest net zero community in the United States. Combining geothermal infrastructure with solar technology is one of the most cost effective ways to obtain net zero certification. The geothermal loop uses the earth’s constant temperature of 45 to 75 degrees to heat and cool all the homes year round. The entire community is designed and constructed to help the city of Austin municipal building code, obtain its 2050 goal of zero green house gas emissions. (Carbon neutral). 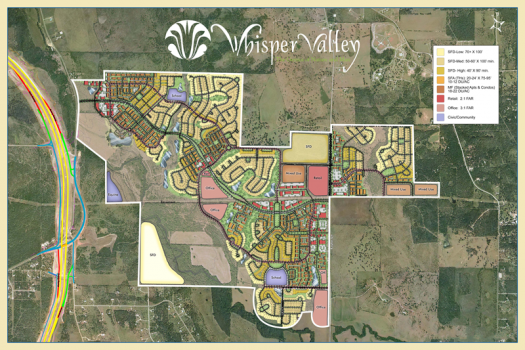 The whisper Valley green community will be clusters of mixed use villages comprised of single family homes, multi family homes, apartments, specialty retail and commercial stores. Surrounded by 700 acres of open space, including a 600 acre Whisper Valley public park, miles of networked biking and hiking trails, community gardens with farm to table delivery, and a planned organic community farm. Two schools and a fire station are also planned. Austin home builders AVI homes and Pacesetter homes have been selected as the first two green home builders for Whisper Valley. Phase one will consist of 237 homes on 50 foot lots. Floor plans range in size form 1,000 sq. ft. to over 3,000 sq. ft. Floor plans are available in numerous bedroom and bath room configurations ranging all the way up to 4 bedrooms and 3.5 baths. Greenbrokers are now selling phase one! Copyright © 2017 · All Rights Reserved · Green Communities.